Better know as Fong to most of her friends, Yim Fong Lai, first learned to draw portraits of Chinese opera performers when she was growing up in Hong Kong. She began to use different media on her artwork when she took art curriculum at Pasadena City College where she won a Superior Achievement Award and later a scholarship to study at the Art Center College of Design, Pasadena. In the early 1980's, she took advanced art studies from the China National Academy of Fine Arts in Hangzhou, China. For several years, she studied Chinese brush painting from the world renown late Master Chao Shao-An in Hong Kong. Fong's skill in watercolor painting excelled after her summer studies under the well known late Master Robert E. Wood. She attended art seminars conducted by artists Tom Fong, John Koser, Zollan Szabo and others. Fong took part in many group and one person art shows. 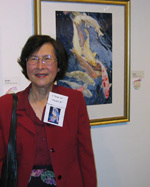 Among her more frequent art exhibit galleries, her paintings have been on display at Brand Library, Brea Library, Burbank Creative Arts Gallery, Butte County Fair, China National Academy of Fine Arts, Descanso Garden, Huntington Library, Hong Kong Arts Center, La Canada Library, Natioanl Orange Show Festival, Pasadena Presbyterian Church, Riverside Arts Museum, San Bernardino County Museum, White Gallery, and various other galleries in California. Through the years, she has won many jury awards and top honors including best of shows. As a signature member of Watercolor West, one of her many recognitions was a North Lights Book Award from Watercolor West for her painting "Splash V". Having earned her Bachelor of Arts degree from Hong Kong Baptist University, Hong Kong, China, Yim Fong Lai acquired another Bachelor of Arts degree from Concordia University, Montreal, Canada.  She holds membership in various art affiliations including Descanso Garden Guild, Pasadena Society of Artists, Verdugo Hills Art Association, Watercolor West and Women Painters West. The Lai family lives in La Canada Flintridge for forty years. They have four grown sons, all educated in La Canada since elementary school, and three grand-daughters and one grandson. Fong loves to paint in watercolor. She loves to draw flowers, landscapes, children, small animals and Koi!